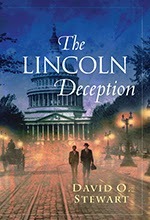 David O. Stewart is the author most recently of the novel The Lincoln Deception. He also has written three nonfiction books: The Summer of 1787, Impeached, and American Emperor. 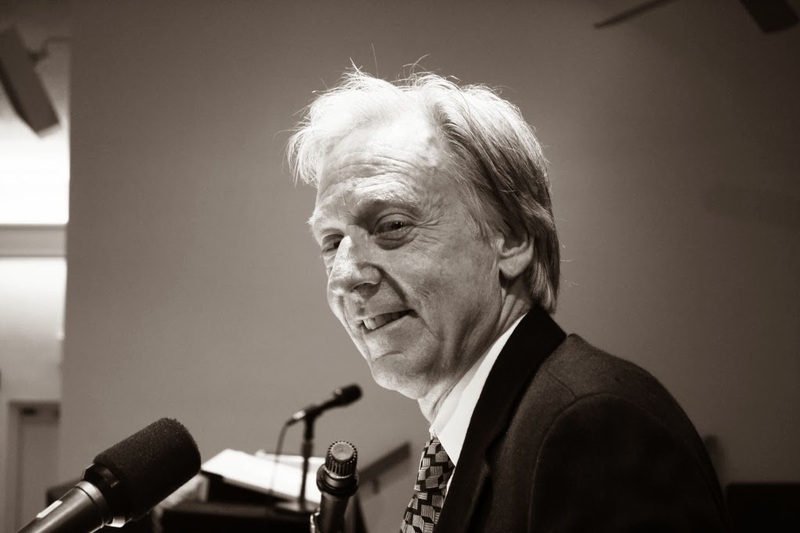 A longtime attorney, he is now the president of the Washington Independent Review of Books. He lives in Maryland. Q: How did you come up with the idea for The Lincoln Deception, and how much research did you need to do as you worked on the book? On his deathbed 35 years later, Bingham said that Mrs. Mary Surratt, one of the defendants, had told him an explosive secret. Because that secret could “destroy the republic,” Bingham added that he would take the secret to his grave. I was hooked. I kept trying to figure out what the secret was. I researched many accounts of the Lincoln assassination, with special attention to the current dominant theory that Booth thought up the assassination all by himself. I also examined theories that Jefferson Davis was behind the assassination (which was Bingham’s theory as prosecutor), or that it was Vice President Andrew Johnson, or Pope Pius IX, or Secretary of War Edwin Stanton. I also read the trial transcript for Mrs. Surratt’s case and examined the difficult political issues the nation faced at the end of the Civil War. Once I felt in command of the facts that are known about the assassination and those that aren’t known, I was able to turn to developing the story. Q: Did anything particularly surprise you as you researched Lincoln's assassination? A: How few writers have approached the assassination from the vantage point of the careful skeptic. Most simply buy into the dominant narrative that John Wilkes Booth woke up one morning and said, “I’m going to kill me a president.” A few repudiate that narrative but lapse into conspiracy rantings. Careful sifting of the evidence is not the dominant approach to the episode. Q: Your novel includes a range of real and fictional characters. How did you decide on the right blend of the real and the fictional? A: I didn’t want to change any of the facts we know about the assassination, but I knew I would have to think up Mrs. Surratt’s secret about who was behind the assassination: after all, Bingham never disclosed the secret. The action of the book takes place in 1900, when Bingham’s physician and his unlikely co-investigator (a black former baseball player) set out to investigate the case anew. So their re-investigation process was entirely fictional, but I could have them encounter members of Booth’s family, the Surratt family, and other figures in the Lincoln assassination who were still alive in 1900. Q: In an interview at the back of your book, you mention Josephine Tey's The Daughter of Time as being a longtime favorite of yours, and perhaps a model in the sense that an investigator is looking into a long-past crime. Are there any other books that inspired you? A: None others as directly as The Daughter of Time. I have always enjoyed mystery fiction, and have read many of the classics: the Nero Wolfe books, Raymond Chandler, Ross MacDonald, Sherlock, and so on. When it comes to historical novels, I always admired Gore Vidal’s version’s of America’s past, though I thought he pushed matters a bit too far when he presented Warren Harding as very smart. Q: Did you plot out the entire book before you began writing, or did it take various twists and turns? A: When I write a nonfiction book, I always know what the end of a story is, and I found that important for The Lincoln Deception. I slavishly followed the advice of a very prolific thriller writer (Jeffery Deaver), who starts by writing a very detailed outline for a novel. My outline was 80 pages long, about a third the length of the final manuscript. Once I started writing, I departed from the outline at times; sometimes I realized that I had overlooked some necessary story development. On the whole, though, I am a convert to the Deaver outline system. Q: I know you've had plans to continue writing both fiction and nonfiction. What are you working on now? A: I have just completed a nonfiction manuscript about James Madison, which should be published about this time next year. I examined his amazing career in the context of his five major partnerships – with Hamilton, Washington, Jefferson, Monroe, and (of course) Dolley. Madison’s contribution to the founding of the nation is often underappreciated, probably because he was short and quiet, and because he worked so well with partners who were often taller and more charismatic. And I’m starting the outline (of course!) for the sequel to The Lincoln Deception, in which Jamie Fraser and Speed Cook will have fresh adventures and (probably) still not get along too well. Then again, nonfiction allows me to satisfy my curiosity about history and forces me to reach conclusions about causation and significance. And a great virtue of nonfiction is that you know the ending when you start. I’ll have to get back to you on this one. A: I hope your readers will check out the Washington Independent Review of Books, www.wirobooks.com, an online book review site that a bunch of us have kept flourishing for three years now. And they should check out the Independent’s annual “Books Alive!” conference, which will be on Saturday, March 29. We have commitments from 17 literary agents to hear book pitches from our attendees, and will have some great speakers and panelists, including Chris Matthews, Laura Lippman, Evan Thomas, Phyllis Naylor, and David Maraniss. It should be a great day in Bethesda! --Interview with Deborah Kalb. David O. Stewart will be participating in the Bethesda Literary Festival, which runs from April 11-13, 2014. For a full schedule, please click here. For an earlier version of this Q&A, please click here.